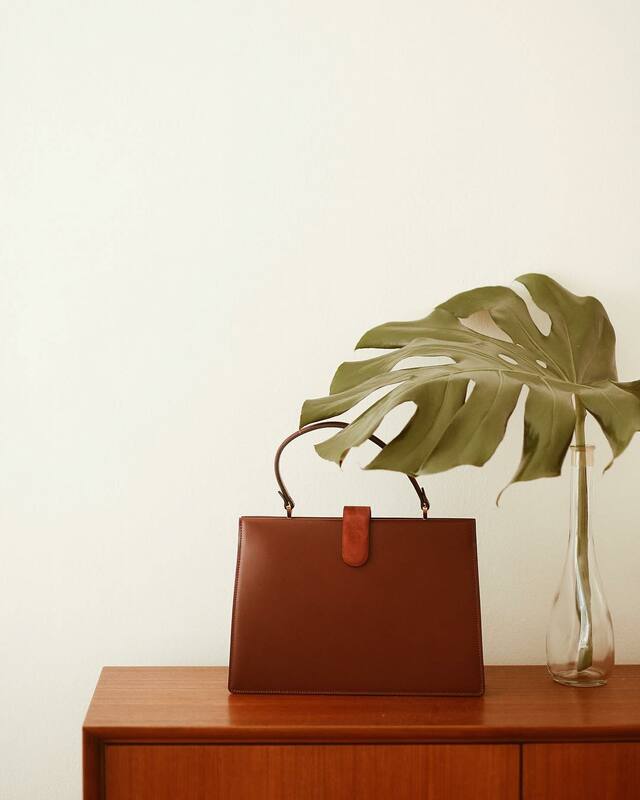 The Parisian leather goods company that used Kickstarter to bring their business to life have used Whalar to reach wider audiences via carefully curated influencers. 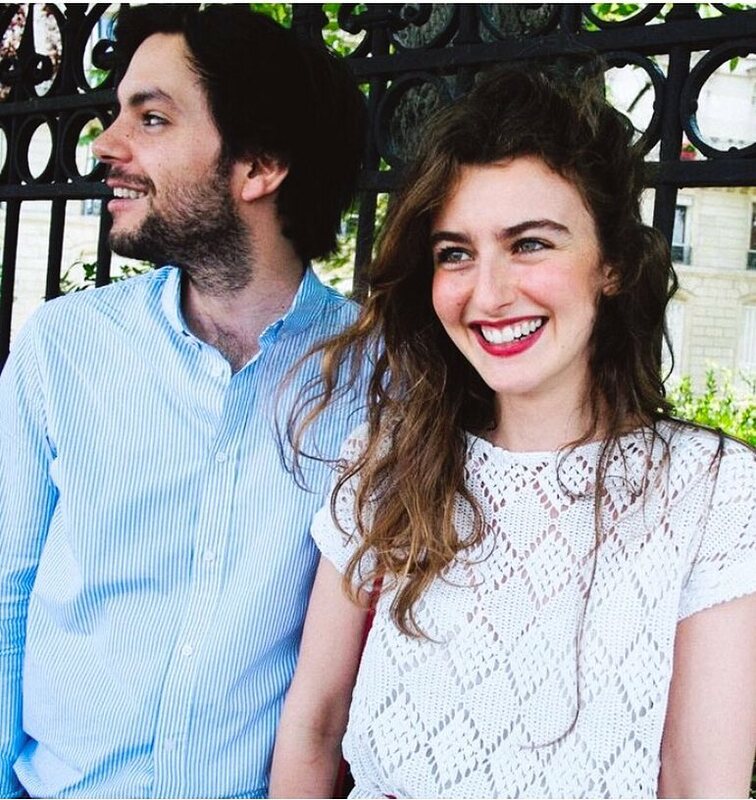 Léo and Violette, the founders of their eponymous leather goods company, always knew they had something different, ever since they met when they were 18 years old. From then, they have crafted a brand born out of love. Small, but international, they wanted to create a brand of the 21st century: 100% transparent and in direct relationship with their customers. ... is Léo’s heartwarming description Violette. Speaking to Léo, it is evident he takes none of his rising success for granted: All sourced from their own talent and a hugely successful Kickstarter project – they have always been completely aware of the creative power that social media is able to offer. We created the brand when we were only 22/23 years old and we started to be together at 18! At the time we launched Léo et Violette we were still students, it was a side project and we would have never expected the results on our Kickstarter project. Our relationship has always been involved in our business and that makes this company even better for us! The studio is a huge step of course! But we were confident because we had many pop-up stores before so we knew customers would be there. Our shop is our office, so it's a great way for us to get instant feedback on new items, new colours. Social media has been a huge part of our work and creativity. As an online only company in the first 3 years, we relied a lot on all tools available. It's crazy to see all the things you can do for free on an iPhone and publish to your audience with such a big impact on sales and desirability. We plan to have a growth of 30% to 40% in 2018 compared to 2017. Appreciation for quality, interwoven with a narrative that does not require embellishment, has fuelled a dynamic collaboration of beautiful results. Creative voices – such as Marissa Cox (@ruerodier)- the creator behind Rue Rodier articulated her own response this brands meteoric rise. 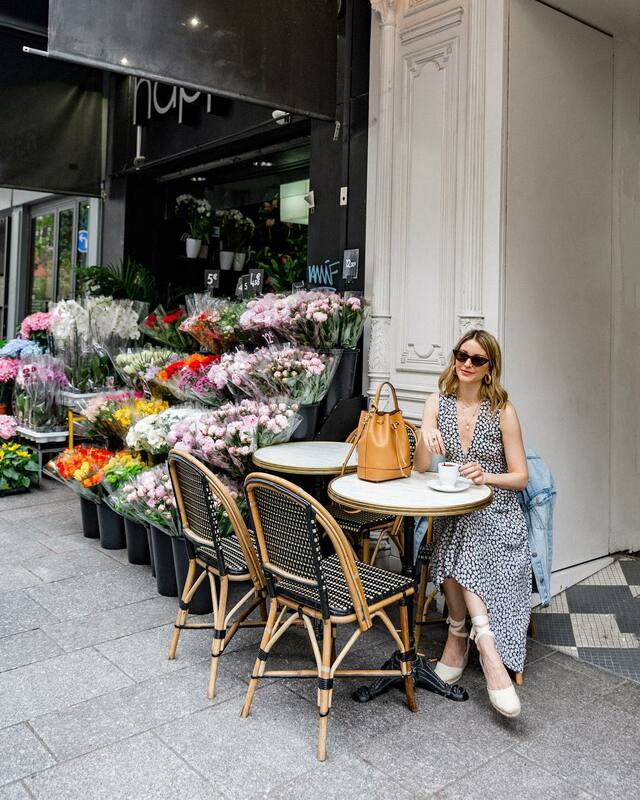 Positioned within the editorial world of fashion and travel based content, the Londoner turned Parisian gave us invaluable insight to the essential elements of this collaboration. 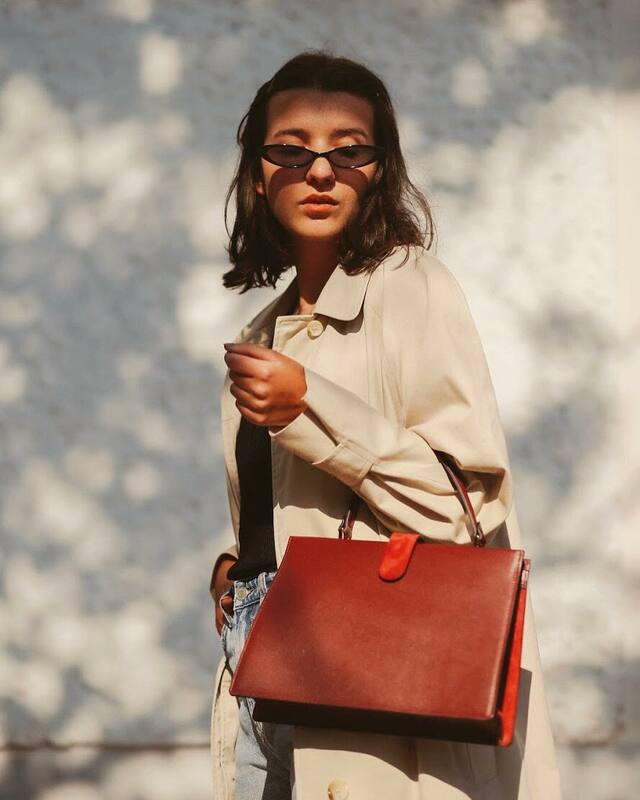 We saw the Léo et Violette bag featured heavily in ‘The Summer Day Dress Edit’ within Rue Rodier - what are your thoughts on the young brand’s success? One, it’s a Parisian brand, which internationally resonates with quality, style & craftsmanship - I think they’ve positioned themselves well to represent these three pillars. They also create incredibly wearable bags - the big selling point is in their simplicity - they do not follow specific trends which might wane in a year or two, and of course have chosen wisely the influencers that they align themselves with; those that are not so luxury that they’re inaccessible, but a happy middle ground between luxury & high street that is affordable, yet aspirational. After living in Paris for several years, what makes a Parisian brand stand out within such an established creative scene? I think one that values craftsmanship and timeless products that transcend trends. Parisiennes want items that not only last, but that they can wear in years to come, also items that aren’t necessarily recognisable as a particular brand. It’s a big reason why vintage items are so popular in Paris. We love all the content you produce. How do you keep your creative voice fresh within an increasingly competitive industry? Firstly I’m very selective with who I work with. I only work with brands who I believe are in line with my own brand- i.e, my by-line is ´on the road to better living’ - so does aligning myself with them enhance & better my life & the lives of my audience? If it doesn’t, I don’t work with them. In terms of creativity, it’s a constant work in progress, but I try to stay inspired by going to art exhibitions, reading magazines, looking at editorials - I have so much to learn, perhaps that’s how I try to stay fresh, I’m constantly trying to better myself - dissatisfaction is a good driving force ;). A blossoming collaboration of style, quality and creativity has allowed for content to flourish within this campaign. 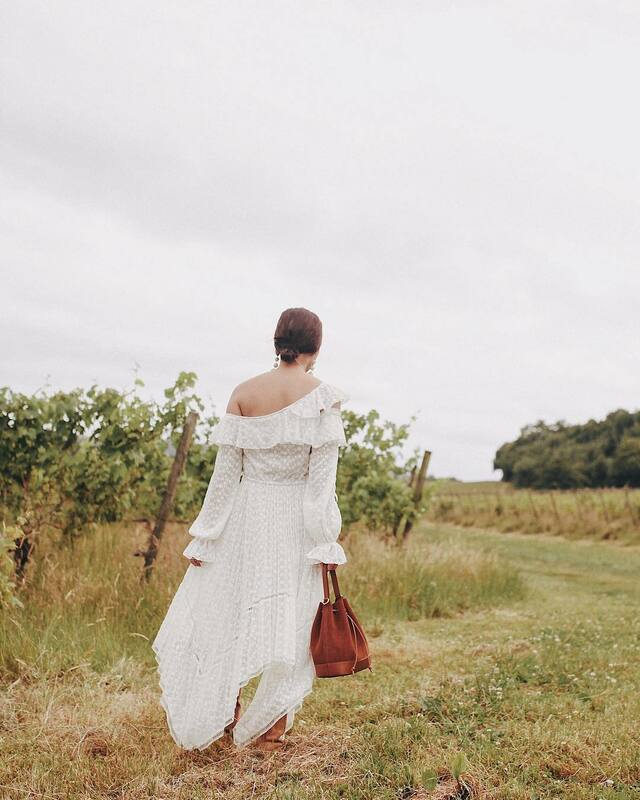 Little more so than our previous #WorkOfTheWeek - from iconic fashion and travel blogger, Melody Tan of @meowiie. Melody continues to portray atmospherically charged scenes through her content, consistently allowing for her style to take the limelight. Specific trends were important to the brief - and her highly stylised image placed her as an ideal candidate to showcase Léo et Violette's aesthetic. Melody’s thoughts on the campaign gave us a valuable insight as to how she stays truthful to her content – as well as underpinning the importance of working within a collaborative culture to achieve her best work. The content you produce is highly atmospheric, how do you maintain this when responding to a brand's brief? I try to understand the brand before taking on a project and see if it resonates with my style and values. If it is, then I am comfortable creating content that represents myself. I feel like as long as I am comfortable and I like the mood board I am presented with then it definitely resonates with my style of content I create and therefore I am able to produce something that is in sync with the mood presented to me. When travelling to different places, what are the key ingredients your draw upon when creating content? I am drawn towards documenting the culture of a destination and once I get inspired after taking in my surroundings, I am able to just do my things as I go. As a boutique brand, how do you think Léo et Violette will fare in a community that values individuality? I think Léo et Violette is a great brand, I love that it’s so simple and of good quality, with a good story behind it. I feel like even though there are many good brands out there today, many of them lack a story and personality. In keeping with the narrative, further influencer’s – such as Sophie Van Daniels – drew parallels with Melody’s aesthetic. Highlighting the essence of true collaboration, her stylised minimalism gives way to Léo et Violette’s desired look. A look that can be traced back to the their original content. Sophie echoes this with her curated persona, as well as underlining Léo et Violette’s rise and ambitious future. You adhere your content to a minimal, effortlessly cool aesthetic. Would you say the consistency and faith within your style has been crucial to your success? I do believe that having a consistent aesthetic and being yourself is crucial for success. You will only create truly good content if it's in line with yourself. If you try to recreate someone else's work it will only be frustrating to yourself and clients as well as your followers will know immediately. What are your thoughts on Léo et Violette as such a new brand, and where do you think the coming years could take them? In my opinion, they have everything one needs; timeless designs, excellent quality and a great aesthetic. I am sure they will be expanding even further in the next years and hopefully into other categories such as shoes, too. When working with labels, how can they get the best out of you and your creativity? The briefing is key for me. The more detailed and precise the briefing is the better my outcome will be. The creative mind can wander and go wild sometimes, so it's crucial for me to have my boundaries set beforehand. With additional complimentary content being published, official engagements reaching well over 52,700. From their modest origins, we are now witnessing high quality content that is resonating with clarity, by evoking intimate, undoubtedly real scenes. Each piece tells a story, conjures a moment, each product slotting in seamlessly to the influencer's content. Speaking to the brand and influencers alike, writing this article has allowed for us to flesh out a story behind a young and exciting brand. In our eyes, they are truly doing all the right things to liberate their creative voice, and we cannot wait for further content and products.